Hello! Crystal here to host the blog. 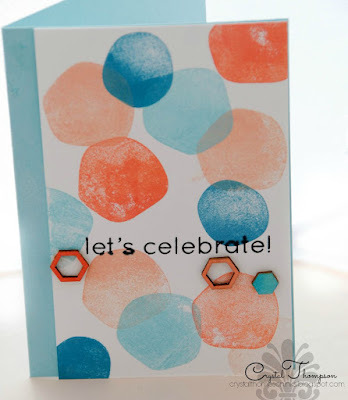 First, thank you for joining us today for some card inspiration featuring Quick Quotes PowderPuff Chalking Inks. This card was made by stamping lots of gorgeous chalking inks. Let's get started! First select your "main" color chalking ink. Here I am using Caribbean Blue as my main color and selecting my coordinating card stock. 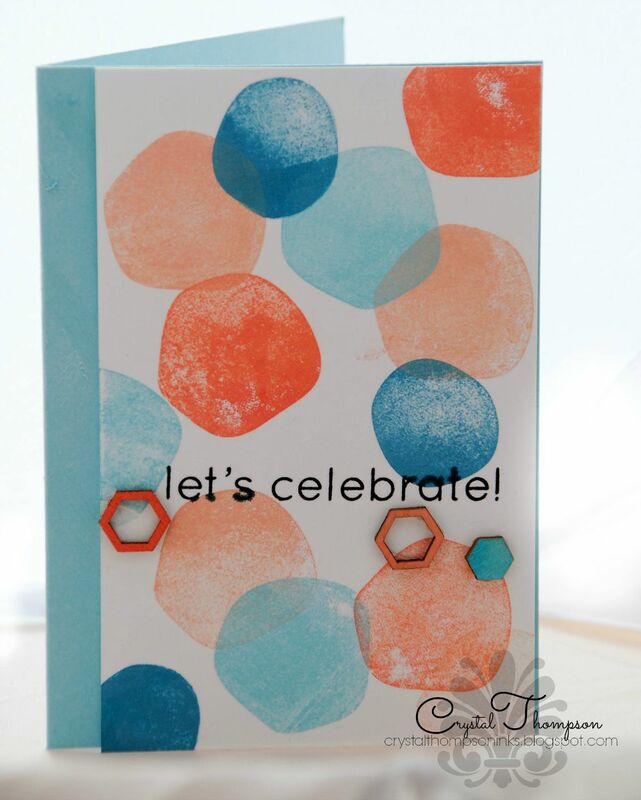 Then proceed to stamp your shape in different colors.Make sure you allow time to dry between colors/stamping. Add your sentiment. I wanted to add wood shapes, so I simply stained them using the chalking inks. Voila! It's done.